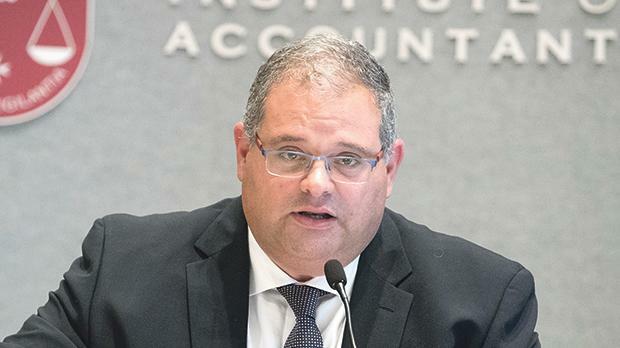 Accountants must carry their responsibilities with dignity, confidentiality and professional behaviour while embracing technology, Malta Institute of Accountants president William Spiteri Bailey tells the Times of Malta. Technology leaves no stone unturned, disrupting sectors and professions, and in turn fuelling cycles of adaptation and survival. The accountancy profession is not immune to disruption and has come a long way from the traditional manual bookkeeping to processes aided by accounting software. “The evolution is ongoing and today the accountancy world is developing into one within a digitised business environment with new platforms and technologies such as blockchain, cryptocurrency, big data and artificial intelligence including rigorous analytics,” says William Spiteri Bailey, Malta Institute of Accountants president. Such technological advancements should not be seen as conflicting with the accountancy profession – rather, they give accountants a greater capacity to advance their roles as trusted, value-added advisors and analysts. “Future accountants will increasingly need education in digital technology and analytics. Knowledge of digital technology is the key competency area where professional accountants might have skill gaps today,” says Mr Spiteri Bailey. Despite such disruption and changes, the role of the professional accountant has always remained consistent and rooted in the values of responsibility, accountability, integrity, teamwork, innovation and excellence – all strong foundations which reflect the determining contribution that the profession makes to the economy. With Malta pitching itself as ‘Blockchain Island’, this technology is set to disrupt most professions, including accountancy. “Blockchain technology has already started to disrupt the accountancy profession,” says Mr Spiteri Bailey. “Some accounting firms have already started to account for cryptocurrency assets, and the Commissioner for Revenue in Malta has issued guidelines concerning the taxation of DLT assets under the Income Tax Act, the VAT Act and the Duty and Documents and Transfers Act. As of recent the laws that the Maltese Parliament approved, namely the three bills regulating blockchain-based businesses and their service providers, as well as cryptocurrencies and initial coin offerings, came into force. Will blockchain also offer added security to investments and financial movements? “As a decentralised ledger, blockchain can diminish costs by removing intermediaries such as banks and effectively decentralising trust. Perfect immutability does not exist in blockchain. While technology is a valuable tool for the accountancy profession, checks and balances still need to be in place. “It is important for accountants to keep up with developments in accounting technology, but it is also essential that one has checks and balances, as well as processes for risk management in place to support usage of new technological solutions. Mr Spiteri Bailey sees the present as an interesting new era for accountancy. “The accountancy profession emerges as a dependable companion for two main reasons. First, it is a fact-oriented specialisation. Our work is based on hard data and our advice is the result of analysis, not guesswork. In the blur of interpretation and assumption that surrounds our world, we offer a clear, objective reading of the signs. “The second factor that makes our profession a steady ally is trustworthiness. Accountancy enjoys the confidence of our partners and we are respected for the integrity, candour and selflessness that our work stands for. Our profession is a constant in an otherwise unstable climate that people and organisations must endure. The trust that they place in us is earned, not owed, and we accountants carry with us the shared responsibility of protecting the profession’s good reputation.